I made these scrumptious blueberry cupcakes ages ago and forgot to post them, so hopefully I’ll remember everything. I have the recipe written down, so maybe that will jog my memory. These came about as the perfect solution to knocking out two birds with one stone: I wanted one more recipe for in-season blueberries (they were in season at the time, anyway) and I needed a treat for my dad for Father’s Day (I said it was ages ago). Usually blueberries are found in more pastry-like desserts — pies, crumbles, cobblers, etc. I was intrigued by blueberries in cupcakes and thought it would be great to try out. I preheated the oven to 350 F and lined my cupcake tin. I thought a monochromatic look would be nice, so I used blue paper liners. 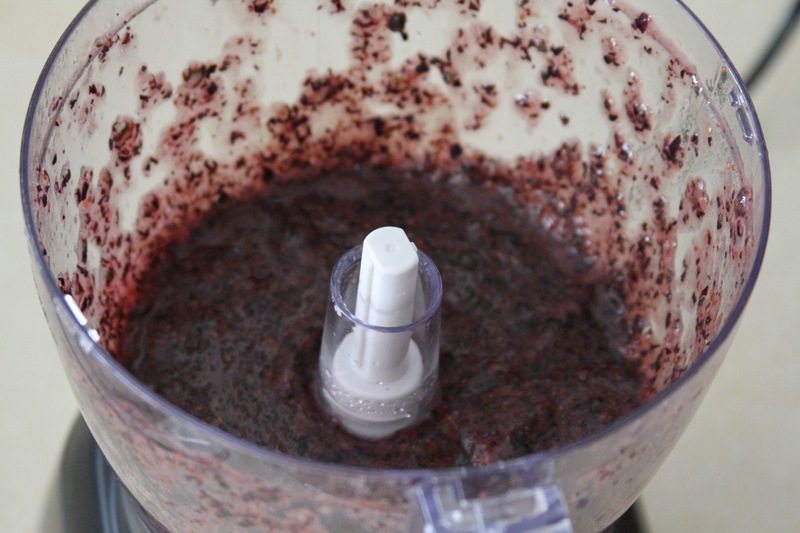 In a food processor, I pureed a pint plus a little more of the blueberries, and set it aside. 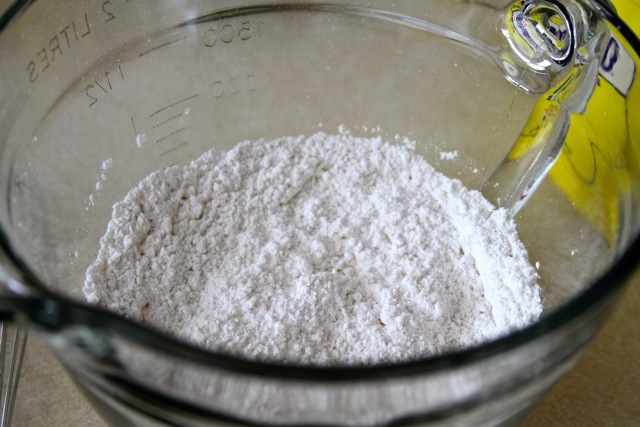 I sifted 3/4 cup all-purpose flour, 1/2 tsp baking powder, and a pinch of salt into a small bowl and set it aside. 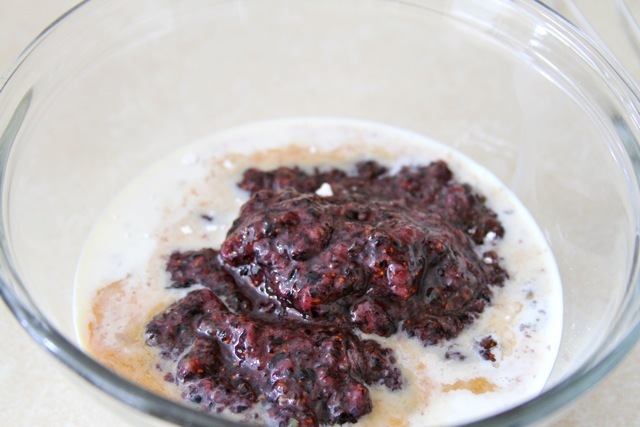 In another small bowl, I whisked together 2 T milk, 1/2 tsp vanilla, and the prepared blueberry puree. Now that I had my dry and wet mixes ready, I pulled out a large mixing bowl. I mixed 1/2 stick (1/4 cup) softened butter on low, and added 1/2 cup sugar. I beat it for a few minutes, until it was light and fluffy. Then I added one eggand mixed on low until just combined. I added half the flour mixture, mixed briefly, added the milk mixture, mixed briefly, and then scraped down the bowl and added the rest of the flour mixture, mixing until just combined. 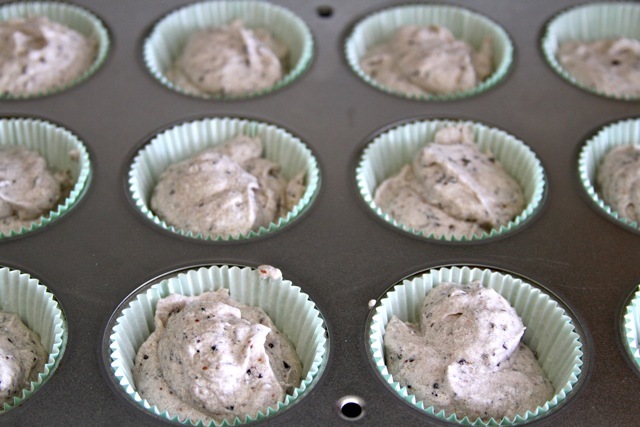 Then I poured the batter into the prepared cupcake tins. I baked them for about 20-22 minutes, until they passed the toothpick test. I let them cool a bit in the pan, and then transferred them out to cool completely. 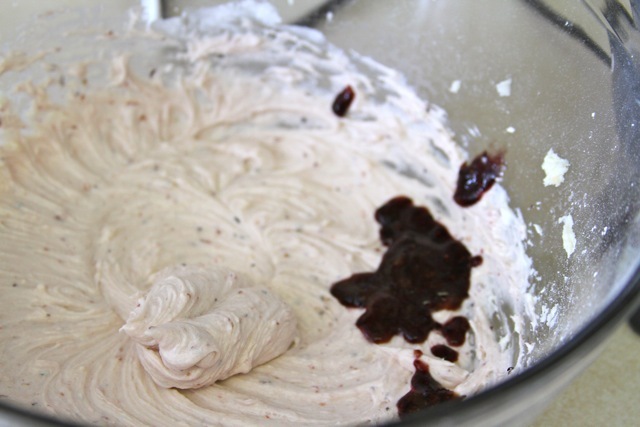 I went ahead and got to work on the frosting because pureeing and straining the rest of the blueberries took some time. 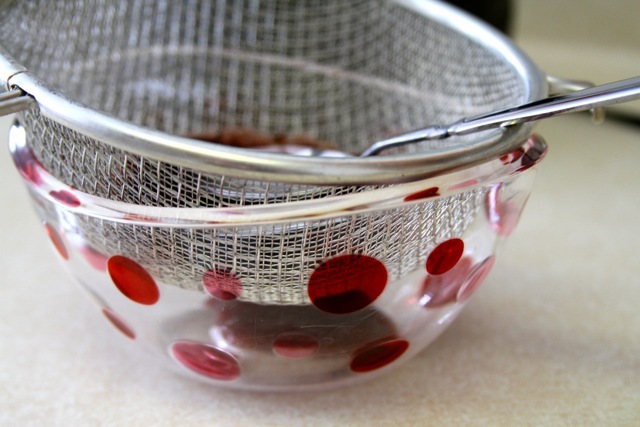 This time, I pureed the rest of the blueberries in the food processor, and then I pushed them through a fine mesh strainer. This took quite some time, but it took even longer to clean the damn thing afterward. I just used the back of a spoon to push the blueberry puree through. The result was a purple goo that was much smoother than the chunky mess that came out of the food processor. 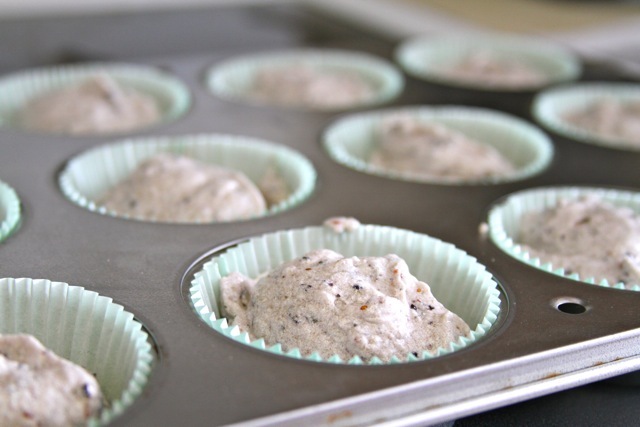 This worked out great because the cupcakes had a great speckled look to them, where you could see tiny blueberry chunks baked in, but the frosting had the ideal smooth frosting texture in a pretty light blue color. In a large bowl, I beat 1/4 cup softened butter, 1 3/4 cup powdered sugar, and 1/4 teaspoon vanilla with my hand mixer on medium-low. I added the blueberry puree a little at a time until I achieved the desired flavor and consistency — for me, that was all of it. Once the frosting was smooth and blue, it was ready! I spread it on top of the cupcakes and topped each one with a single fresh blueberry. Perfect!